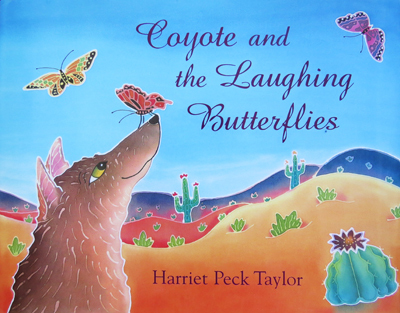 Harriet Peck Taylor is an award-winning author and illustrator of children’s picture books. Learn more about the inspiration behind her stories and illustrations and read reviews of her books. Young Readers 1993. ISBN 0-689-81535-2. 1993 Finalist for the Colorado Book Awards. 1993 Bank Street College: The Best Children's Books of the Year list. pourquoi story, we discover the origin of the constellations. magic of the night sky. "Buffalo herds running across the plains... glow with the rich colors of the desert. her retelling. Ultimately her book pays tribute to a beautiful world." Schuster Books for Young Readers 1995. ISBN 0-02788846-0.
they are unable to fly in a straight line. 1996 Finalist for the Colorado Book Awards. 1996 Bank Street College: The Best Children's Books of the Year list. after he was tricked by raccoon. 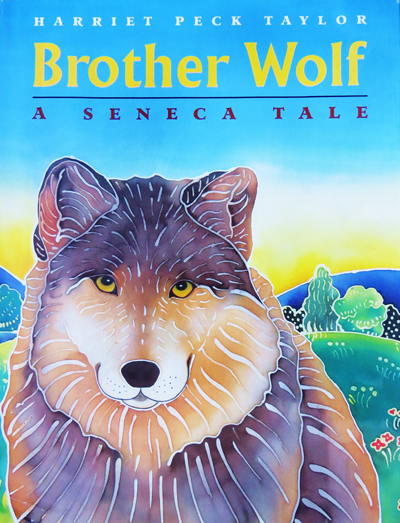 "Any retelling in a glutted field, must have something to distinguish itself from the pack. Straus Giroux 1997. ISBN 0-374-30589-7.
and that concept is very close to my heart. 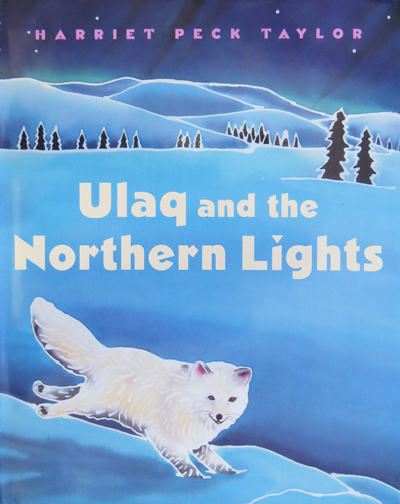 Ulaq and the Northern Lights by Harriet Peck Taylor. Farrar Straus Giroux 1998.
convey the beauty and radiance of northern lights. medium for depicting the northern lights, the cold night on the snow-covered tundra." 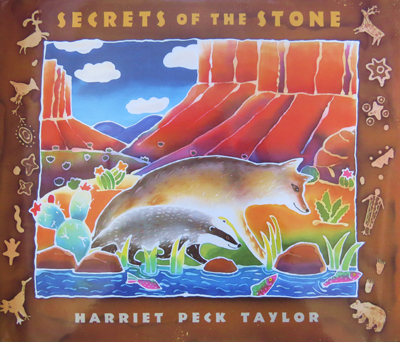 Secrets of the Stone by Harriet Peck Taylor. Farrar Straus Giroux 2000. ISBN 0-374-366483. 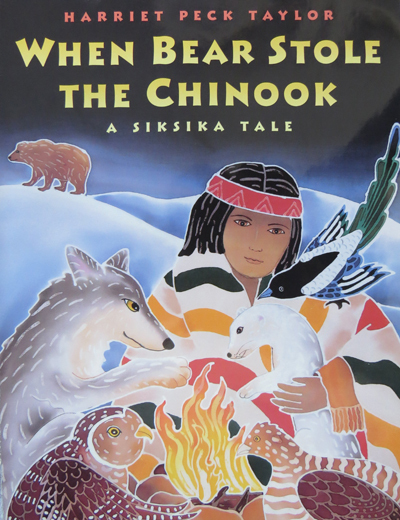 2000 Bank Street College: The Best Children's Books of the Year list. 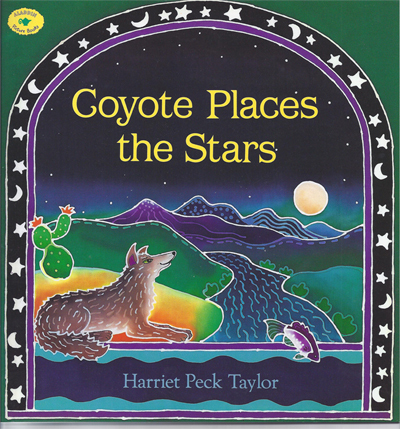 dream, Coyote goes back to the time when the creatures in the rock art roamed the land. ancestors which she shares in this story. Her batik illustrations are bold and stunning. This book was inspired by events that did happen in Chicago in 1996. 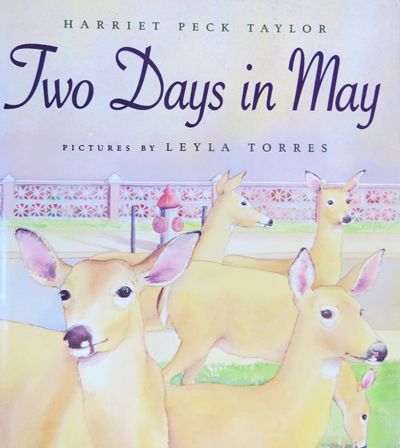 In this story deer wandered into the inner city and the neighbors bond together to provide a safe haven for the deer. I felt I had an important story to tell here because decreasing animal habitat is an issue that is becoming more commonplace and widespread. I was also inspired by how the neighborhood worked together to do something really positive.